Before you go to a publisher with your new board game baby, you should spend some time on your Elevator Pitch. An Elevator Pitch is a 30 seconds or less description of your game. Sounds easy, but you can easily get tongue-tied and forget some important aspects of your game if you just wing it. 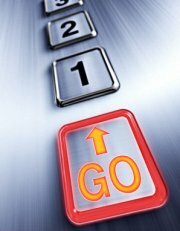 If you created a Sales Sheet that we described in Step 14, then you should have a lot of your Elevator Pitch ready. So what should be included in an Elevator Pitch? Name of the Game: Hopefully the name of your game is already interesting and makes a publisher want to know more. Type of Game: Is it a party game or a strategy game? Whatever it is, it should be mentioned immediately so they know right off the bat what you’re talking about. Type of game play: Does your game have tile laying, resource management, worker placement etc…? Use the industry terms to describe your game. How many players: Pretty simple – but it’s important to a publisher to know if your game is only a 2 player game or can reach the magical 5 or 6 player target that some publisher want. Why your game is different: Here’s your opportunity to dazzle the publisher with why your game needs to be published. What makes it different? Why should the publisher publish this game? Steer clear of saying things like “everyone who has played this has loved it” as publishers know that the majority of your playtesters are probably your friends and family. Even if they’re not, don’t waste your precious 30 seconds with empty praise that means nothing to a publisher. Leave them wanting more: Give them a tease that will intrigue them to know more about the game – and possibly a playtest. Akrotiri is a Euro-style strategy game that has tile placement, move and deliver and a clever treasure finding mechanic. It’s a game for 2-5 players where each player is an explorer searching for lost temples in the Mediterranean. They ship resources back to Akrotiri from the islands they are creating by the tile placement in an effort to raise enough money to fund expeditions to find temples. How they find temples is based on a new and interesting mechanic that I’d like to show you if you have more time. The goal would be to ensure that this doesn’t sound dry and robotic – like you memorized it. You have to add your own personality to it when you say it. That said, saying this 3-5 times to yourself (out loud!) before you meet a publisher will help when you have to give the spiel for real! Combine a well practiced Elevator Pitch with a professional looking Sales Sheet and you’re definitely going to stand out from the crowd! Next up we’ll be talking about the two ways you can get in touch with a publisher: in person or online. The elevator pitch – that magical 30 seconds in which the decision maker is trapped and at the mercy of the hungry game designer. This is make or break time, bucko. At any game convention where publishers are around, always have copies of your sell sheets handy, or a business card at the very least. If you can carry your prototype with you at all times without looking like you’re headed out on safari, do so! And have your pitch ready to roll. Theme – as inconsequential as some designers thing theme may be, it (plus the cover art) is a prime force in moving product off shelves. At the end of the day, that is what publishers want to do. So if you’ve got an interesting theme, sell it. Components – some companies are in the hunt for specific games that use specific components – and conversely, some are avoiding them. So being upfront that the game is a card game or uses electronics may have some bearing to prospective publishers. Know Your Audience – When you’re pitching, if you know a bit about who you’re pitching to it can go a long way. There are companies that expressly state things like: No CCGs. No Dungeon Crawlers. No Miniature Games. It pays not to waste their time with your game about exploring dungeons that uses a collectabile miniature system with optional card expansions because the next time you *do* have a product they might want, you won’t be “that guy”. Let them know this isn’t just a vapourspiel – If you have a prototype ready to play, let them know that you would love to play it with them later at the convention or send it to them sometime. Get their business card or contact information so you can get their mailing address if they will accept your prototype. Many companies will not look at unsolicited prototypes, so don’t just send stuff with the expectation that it’ll get looked at. You will most likely end up sorely disappointed. Games are kind of like vampires – the publisher has to agree to let a prototype in the door. Your job in the elevator pitch is to ensure that your game has the highest probability of being invited to the ball. The elevator pitch is really make or break time. It is an opportunity that you cannot afford to waste. Jay and I often talk about making the most of an opportunity by being prepared. If you follow the steps above, have your pitch, sell sheets, and prototypes ready to go you will be prepared. So, press “up”, step inside and make your own luck! 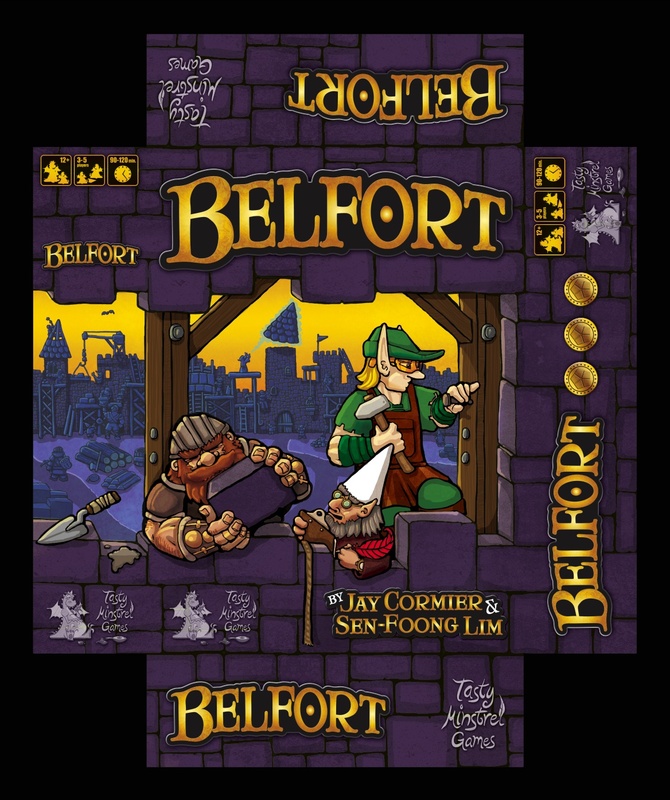 Final Box Art for Belfort! 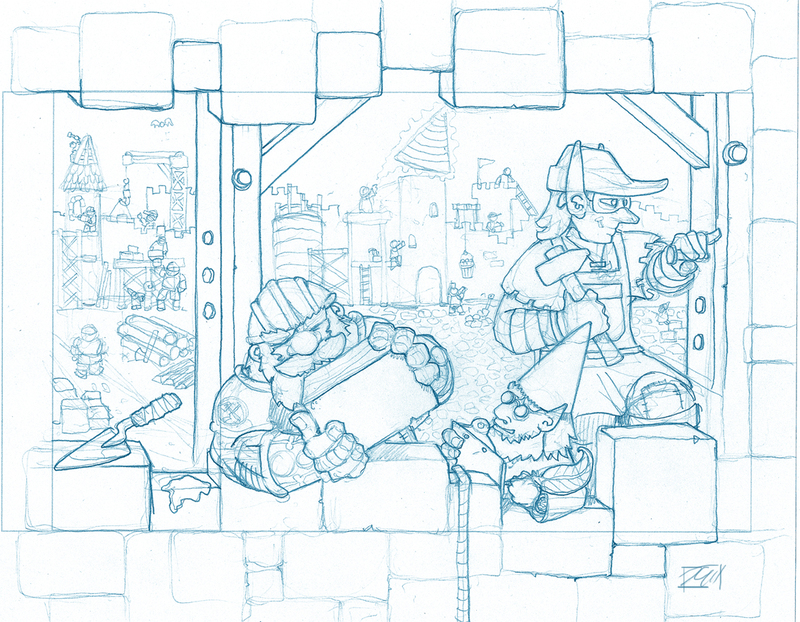 This just in – here’s Josh Cappel’s final art for the box for Belfort. I probably sound like a broken record but this is just amazing! Fortunately we’ve made it successfully through each of these phases! I think the next phase is waiting to see the actual physical product and see if the components are top quality. Then the next phase is sales! But for now – we are extremely happy with where we’re at! Ok we’ve procrastinated long enough, now it’s time to actually write the rules for your game. What’s that, you say? Shouldn’t the rules be one of the first things you write? Well, there are outlines and there are rules. An outline is a point form list of concepts and mechanics that you use to keep your facts straight as you’re designing. It’s what you come back to tweak after your playtests. 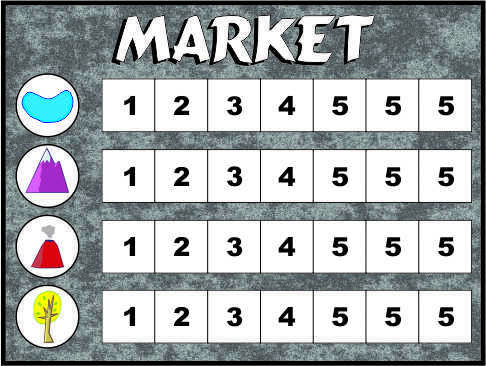 It helps you remember basic turn order and end game objectives and start game set up. Much like prototype designing, it’s important to save each version of your overview. Once you start playtesting you could find yourself going in circles – changing one thing only to change it back 7 playtests down the road as it might fit better now that you’ve made other changes. At that time you will be thankful to have old copies of your notes! Rules however, are a different beast. Rules are the entire rules to the game. This is the document that eventually will be what the publishers are going to read – so it has to convey every aspect of the game. Unless you have a face to face meeting with the publisher (and more on how to do that in an upcoming post), these rules have to explain every rule for your game. Think about this for a second: what’s your least favourite aspect of playing board games? Most likely it’s reading or listening to someone read the rules. This is why when we make our rules, we try to make them as close to what we would like to see in the final rules as possible. This means that we give a lot of graphic examples of the gameplay. This means that you do have to create these extra graphics – but you’re just repurposing your existing graphics into scenarios. Bottom line is that we would never like to read a rule book that is only text – and therefore we’d never submit a rulebook to a publisher that was just text. Take a look at some of your games and look at their rules. How are they laid out? Some use columns like newspapers to allow easier readability, some have a running summary down the side, which helps people who have played before but can’t remember everything, and some even give strategic advice on how to play. How do you know if you’ve written decent rules? There’s really only one way – blind playtest. This is where you give your game and the rules to a group and have them read the rules and play the game – WITHOUT you making a single comment or answering any of their questions. Man, this is going to be tough! It’s really frustrating to see people playing your game incorrectly, but you have to let them play it out as that’s the only way you can see how they interpret your rules. It will become ridiculously clear if parts of your rules are confusing or misleading. You should always blind playtest your rules before submitting to a publisher. So this is a perfect example of why it is imperative to have your game blind playtested before submitting to a publisher – or a contest! For us, we hate writing the actual rules and it often comes later than it should. That said, once we do write the rules, we try to spend as much time on them as we can to make it as perfect as we can. a)	In my opinion, there’s no such thing as “too many examples” in rules. In working with other playtesters and designers, the one thing that is often commented on during blind test sessions is that a rule was misinterpreted. This is often the case when wording is ambiguous or made more friendly than technical. 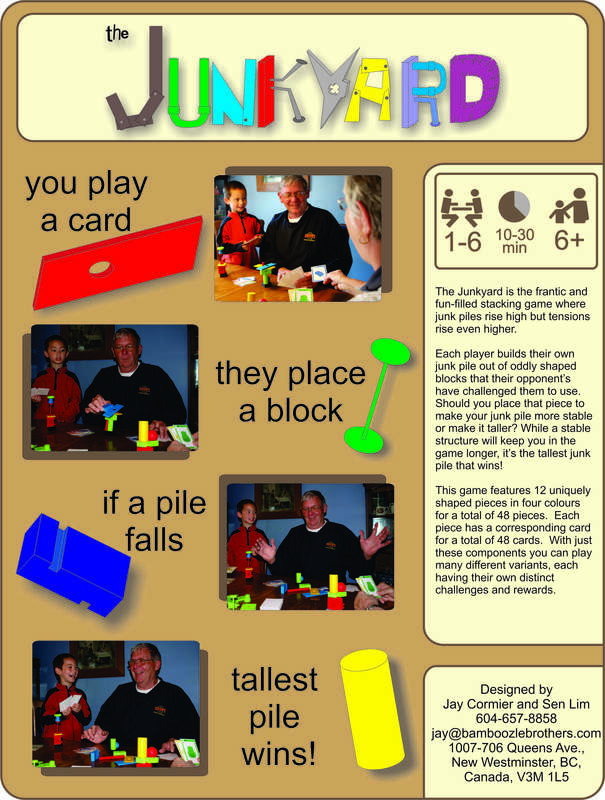 However, having a clearly illustrated and documented example or ten can clarify how the game is supposed to be played. This goes back to the graphic design segment: If a picture is worth a thousand words, then a well illustrated example of gameplay can take players from “?? ?” to “oh, that’s what they meant”. Words can often be misinterpreted. The designer’s intention becomes much clearer when paired with pictures to show the movement of pieces, the discarding of cards, etc. In a more complex game, like “Belfort”, we are going to have to spend a lot of time over the next few weeks drafting out examples that can then be depicted graphically. Some games go so far as to have an entire sub section devoted to an example of a turn from start to finish. This may be the length we have to go to for “Belfort”. Sometimes, words just don’t do justice in explaining the complexities of a game turn. Basically, when it comes to providing examples, the more the merrier. I’d rather you provide too many examples than too few. b)	Write accessible rules. 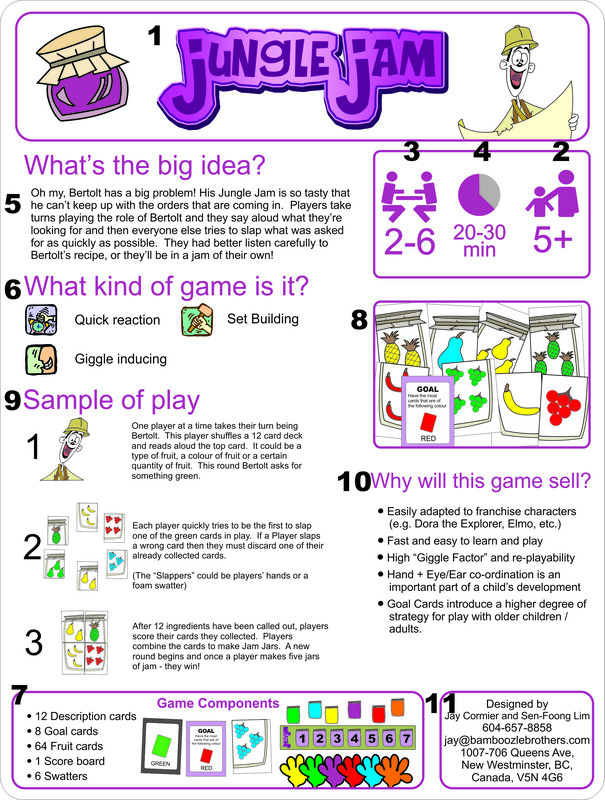 – rules that suit the game play. I am known for being (overly) technical and writing (mind-numbingly) precise rules. However, they are very dull, dry and boring to the point of unreadability. For a fun party game, like “Train of Thought”, this didn’t work at all. 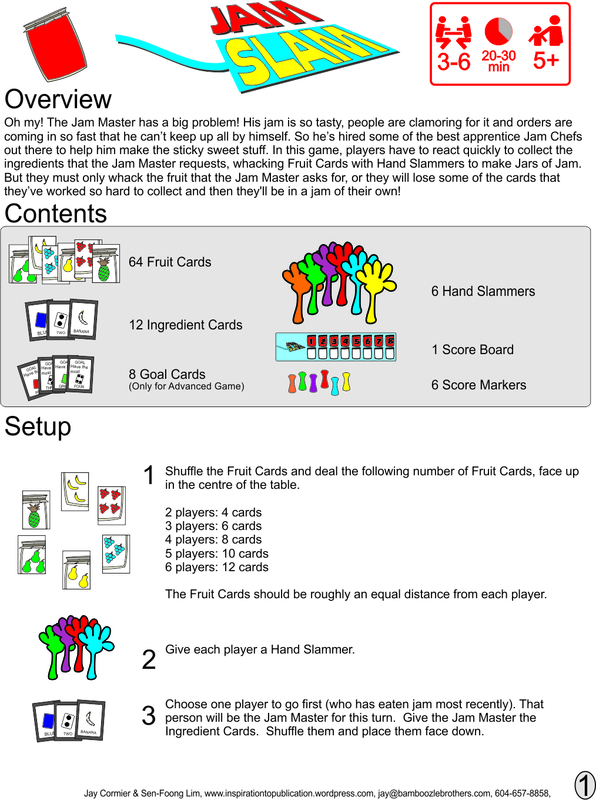 The development team spent a lot of time reworking the rules such that the flavour of the game was captured and the integrity of the rules was kept. c)	A “quick start” rule section may be a good thing to include and then have more detailed rules available for the second play once the gist of the game is understood. Note that this doesn’t always work for every game. d)	Often times, you can do a summary of the rules on the back of the manual, on spare cards, or on a separate player aid. These are all excellent things to have in rules-heavy games so that players don’t constantly have to refer back to the rules. They are especially important to have in games where keeping your actions secret is important – if everyone sees you looking at the “How to Attack Your Neighbour” in the rules, you can rest assured that they’ll save their defensive cards in anticipation! e)	Proof-read your rules. Better yet, get someone other than someone intimately associated with the development of the game to do the proofing. And just get them to proof for spelling, grammar, and understandability – not to comment on the rules of the game per se. 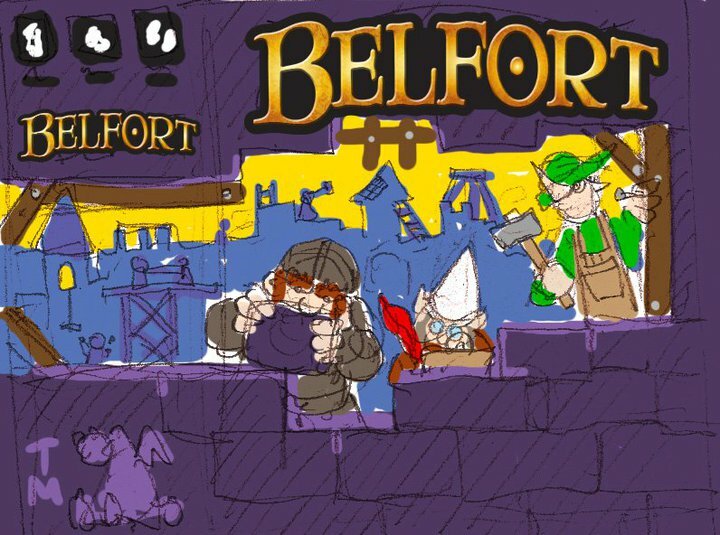 Belfort Box Art: Second Sketch! Here’s the next stage of the Belfort box art from Josh Cappel. Loving it! Great attention to detail in the background. You can even see the wizard lowering the top of the tower down. Tasty Minstrel requested one change from this image…simply to reverse the hammer in the Elf’s hand! Next step is the painting. After this we only have a few more pieces of art left: the Calendar board, the Collection board, the player order indicators, the player aids and the rulebook. Getting close! Here’s Josh Cappel’s first sketch of what he proposes the box for Belfort to look like. I really like it as it shows the gameplay (building) and theme (elves and dwarves) in a fun and interesting way. Can’t wait to see the final version! Just read a nice status update from Michael Mindes of Tasty Minstrel on the timelines for both our games. Great news: people who pre-order can get Train of Thought by Christmas! Others have to wait until the new year before seeing it in stores. Other great news: Belfort is about a week away from having all its art done! Very cool and exciting. Read more on Michael’s Blog.